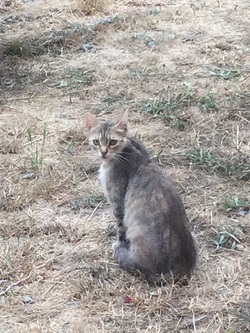 Jessica was very thin in May/June 2015, and had some wounds on her back, as well as having just had some kittens. We had her neutered and she is much healthier looking now. She is a constant presence around our house, and always looks very serious. 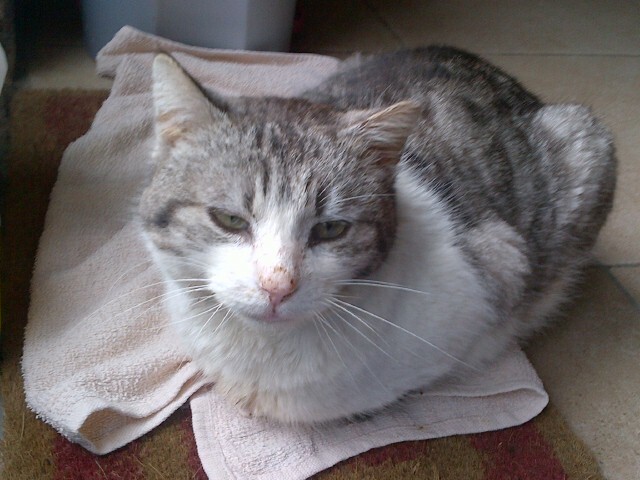 This sweet tabby and white male NEWSFLASH - not male. Clearly female judging by heavy pregnancy in June 2016. Frank is the current alpha male, is very vocal and you can find him under the granary loungeing around on most days. He is probably the father of many of the kittens around at the moment, and as you can see from his face, has the odd altercation!. Silver Shadow is no longer with us unfortunately. Yes he does appear to be 'inside'! He had once been a pet and reverted to this when he got ill. He was a lovely cat, and his genes live on as you can see on this page! 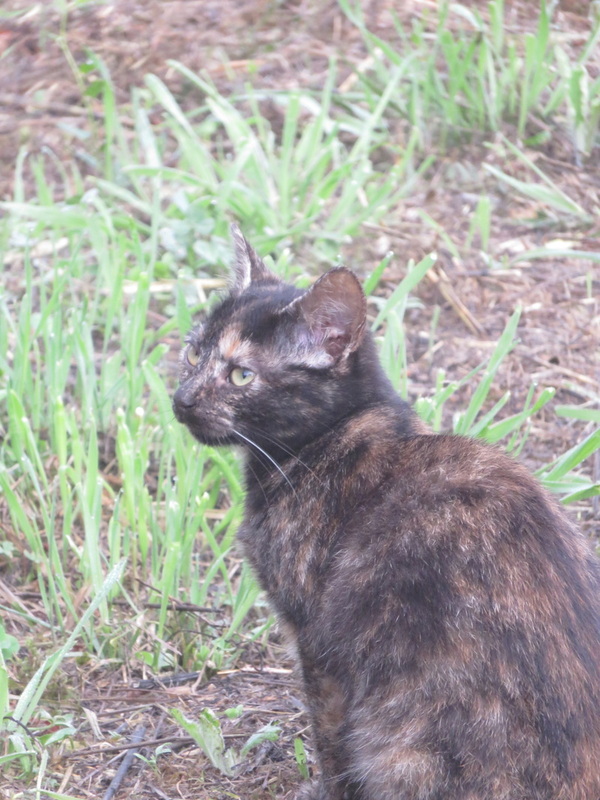 Tortipizza is probably the oldest cat in the colony. Years ago she was hanging around while Adam was laying some paving, and she (and there was a darker coloured sister too) has been around ever since. When the vet came to do TNR in 2010 Tortipizza was neutered. 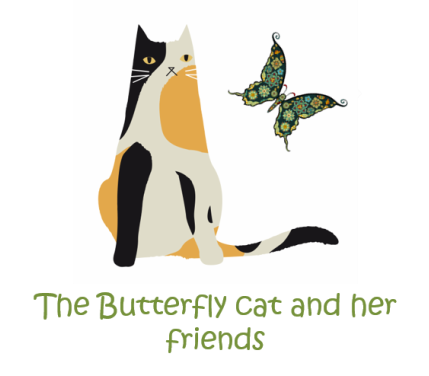 This is the Butterfly Cat from the video. 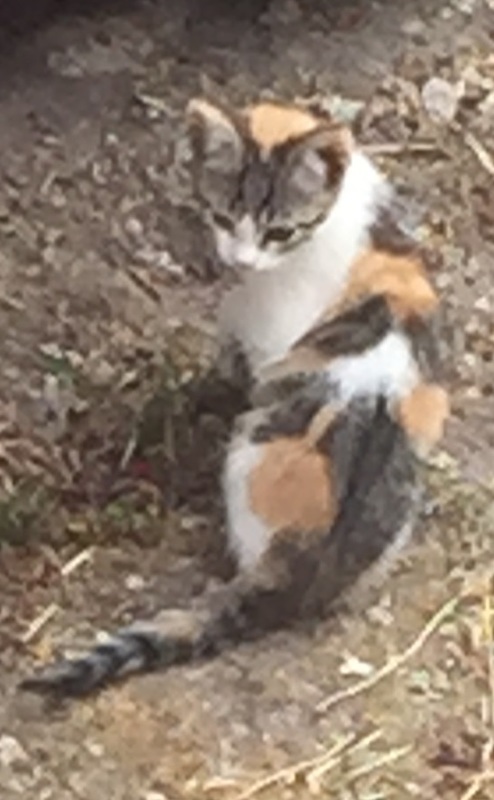 She's the daughter of the Tail-less Cat and we think we saw her on the other side of the village recently. She hasn't been around for food recently. We plan to take her to the vet this autumn for neutering. 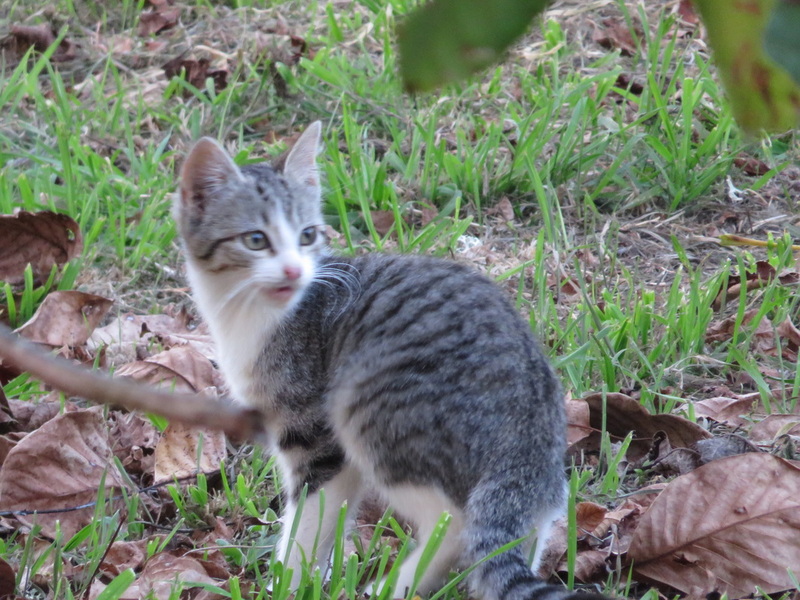 This is the Tail-less Cat, and she finally got a name! Her kittens, including the ginger featured in the video on the Home page, must be around 6 months old by now, but we haven't seen them for a while. We took her to the vet to be neutered in August.